Eleven Notre Dame graduate students—including four from the University’s College of Arts and Letters—have been awarded graduate research fellowships from the National Science Foundation (NSF) for the 2014-15 academic year. Katie Condit, Danielle Fulmer, and Nicole Perez from the Department of Sociology and Charlotte Cunningham from the Department of Psychology were among this year’s winners. The NSF Graduate Research Fellowship Program recognizes and supports outstanding students in science, technology, engineering, mathematics, and social science disciplines who are pursuing research-based degrees. The award provides a stipend, tuition support, and research funding for three years. “The NSF Graduate Research Fellowship is one of the most competitive—and prestigious—awards a graduate student can receive,” said Associate Professor Jessica Collett, director of graduate studies in sociology. “Only 32 were awarded in sociology last year. To have three of those in our department is amazing and puts us on par with top programs nationwide. Nicole Perez and Katie Condit, both third-year sociology students working in the Center for Research on Educational Opportunity (CREO), have been close friends and colleagues since they came to Notre Dame. The two said they couldn’t believe that after years of preparation, they both won the award. Of the 2,053 fellowship winners nationwide, just 30 were sociologists. Perez’s research focuses on the disparities that Latino students face in education and in expectations. In particular, she is examining the transition from high school to college and how Latino students negotiate their parents’ desires, their own goals, and their peer influences within the high school setting. Because she has also received the Joseph L. Gaia Distinguished Fellowship in Latino Studies, Perez has decided to defer her NSF fellowship for one year. She said she feels incredibly privileged to receive these fellowships, which will provide her with the freedom and flexibility to focus on her work. 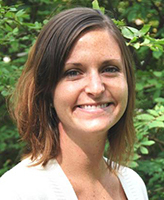 Condit’s work within CREO focuses on juvenile delinquency in high school students. Her goal is to determine how classroom organization, programming for students with disabilities, and teacher orientation to students impact delinquency rates. 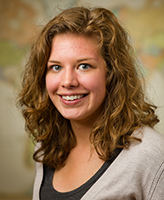 Danielle Fulmer, a first-year doctoral student in sociology and peace studies, plans to use her fellowship to study community-level peacebuilding efforts in Rwanda. Specifically, she will focus on how the participation of women in local peacebuilding initiatives affects their long-term effectiveness. 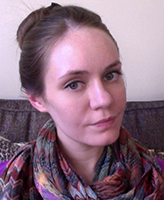 Psychology graduate student Charlotte Cunningham focuses her research on longitudinal data within quantitative psychology. She is working to develop methods to analyze within-person variability—or the fluctuations that can occur in psychological states such as memory or affect over time. “I first started looking at longitudinal data in my undergraduate studies, and I realized that it is a very powerful tool,” Cunningham said. “You can learn so much about the patterns and growth of changes over time. One of the greatest benefits of the NSF fellowship, she said, is that she will now have access to the NSF computer cluster, allowing her to run simulations even more efficiently. 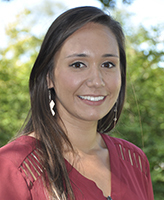 Cunningham is the fifth graduate student in the Department of Psychology to be awarded an NSF graduate research fellowship since 2012. All of this year’s winners credited their faculty advisers and the Graduate School’s Office of Grants and Fellowships, led by Associate Program Director Mike Westrate, with supporting them throughout the application process. The office provides various opportunities for students to hone their applications—through a summer support program, a fall workshop series, and an intensive application-writing boot camp over fall break. Originally published by Jonathan Warren at al.nd.edu on November 22, 2014.